We love looking up to those who have reached success, and as a business professional in marketing, it’s easy to look towards the Fortune 1000 companies in America with envy. 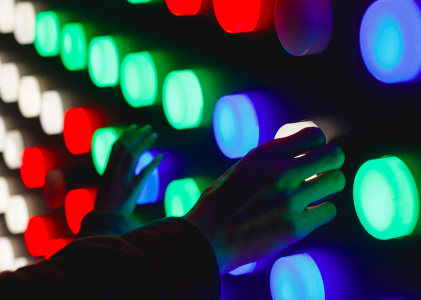 To help break down barriers between the “us” and the “them,” we’re looking at the marketing technologies used by some of the world’s largest companies, to learn what trends we can replicate for ourselves. 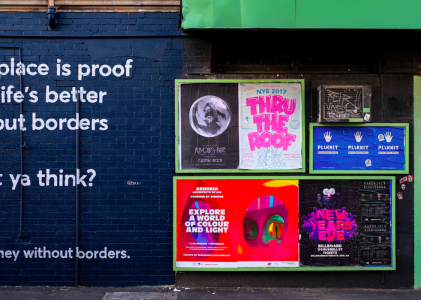 Last year the team at AdGear compared Canadian and American Fortune 1000 tech solutions, but this year we’re looking at America, focusing on the shifting trend in the marketing tech solutions used by the giants. It’s worth noting what has changed so far, so to get the full picture, we’re going to zoom into specific platform categories, including: web analytics, media buying platforms, ad servers, ad exchanges, audience data management platforms, and tag management. Web analytics has undergone some consolidation over the past 12 months, where an average of 4+ analytics tools in 2014 turned into a solid 3 in 2015. 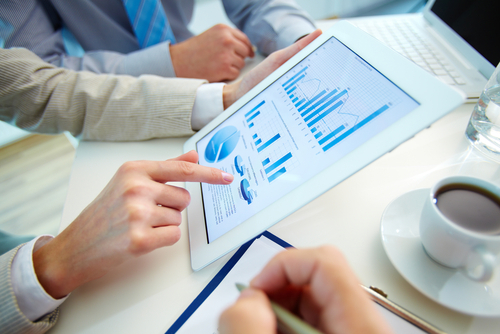 Companies are using less, but still collecting all the data their business needs. It’s not a surprise for anyone to see the standard mix between Universal Google Analytics and Omniture at the top of the list. Leaders are followed by niche specialists that provide additional functionality on user behavior like heat maps, audience insights and more, including: Hover Intent, WebTrends, Qantcast, Tealeaf, Twitter Analytics, and CrazyEgg. Media Buying Platforms have undergone some significant changes strong consolidation have happened over past 12 months. Last time we were conducting the same exercise we saw 2 – 3 platform average. Now we can see strong 1:1 trend i.e. 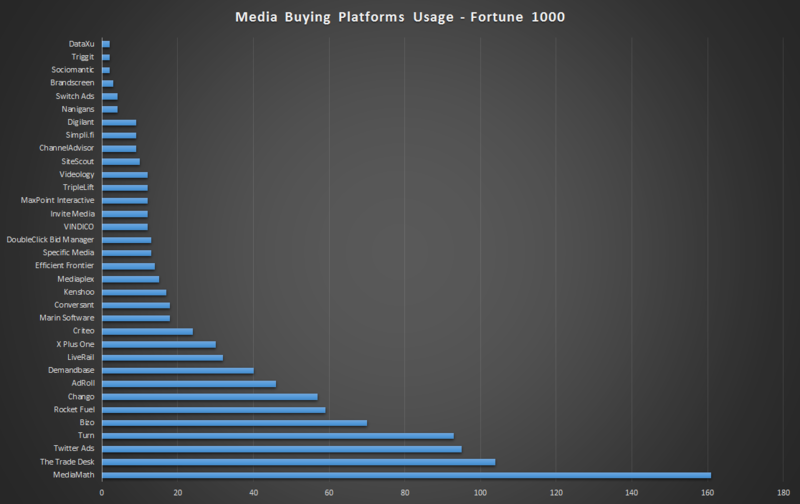 one company : one media buying platform. It was surprising to see the consolidation occurring so fast and compared to last year we’ve noted a decline in a specialist and retargeting class DSPs that have lost market share to the bigger all-in-one platforms. 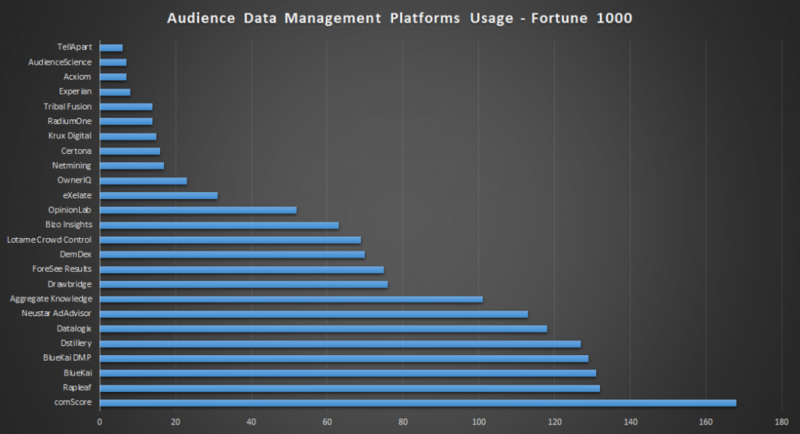 Significant consolidation has touched audience data management platforms as well. Last year we saw average use case of 2 platforms per company now the average has shrunk to almost 1 company, signifying a 1 to 1 ratio. Most companies have chosen their data management platform of choice, and that’s it. 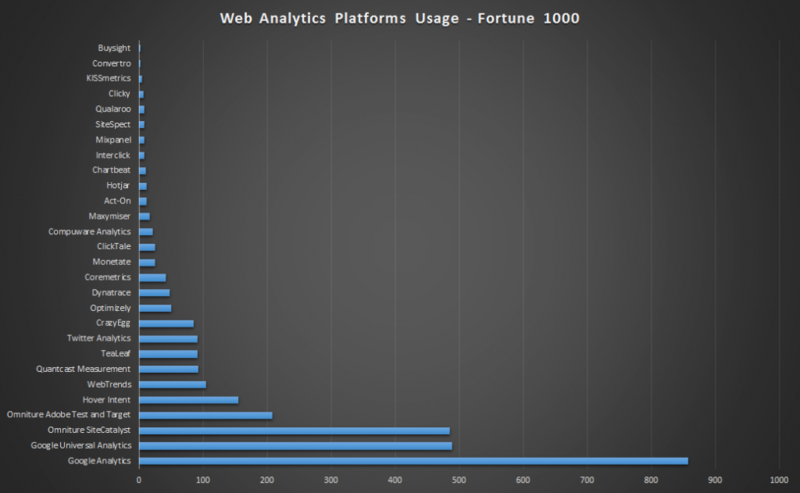 You can catch me on 1:1 ration and say “Hey, total sum = 1582”… yes, this is true but there are a couple of outliers on the list like Rapleaf and ComScore – if excluded brings number to 1282; so one can argue that there is 20 – 30% companies in the mix who still use 2 platforms at the same time. 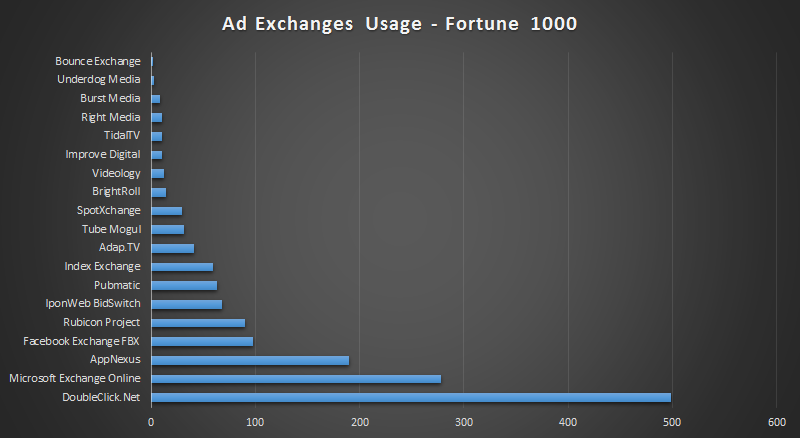 Ad Exchanges have not gone through much change when it comes to top advertisers using their inventory. It remains roughly the same lineup of main players. 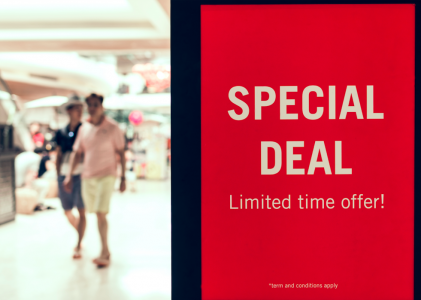 Ad servers still remain visible, but their share and usage is virtually non-existent when compared to real-time media buying platforms. Free tag management is winning the race, with almost 300 Fortune 1000 companies are using Google Tag Manager. To us, what is most interesting to see is what happened with the media buying platform and audience data management platform environments. The fact that a strong consolidation have happened when it comes to the above two platform classes was to be expected, certainly the Fortune 1000 companies could afford to use multiple media buying and management platforms, but theoretically there’s no need once a company has found something that solves their needs. It was surprising to see as to how fast this have happened. In just a year most of the Fortune 1000 companies were able to focus in on the marketing technology solutions that worked and get rid of the ones that were redundant. AdGear will be conducting similar research while looking at a large sample of mid-size companies – so stay tuned! Don’t forget to check out last year’s report.